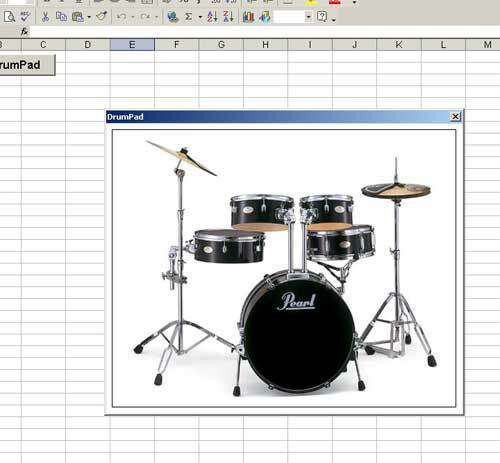 Microsoft Excel spreadsheets are getting use in music, and not just for tracking musicians’ growing credit card debt. First, Tom Whitwell at Music thing discovered an Excel spreadsheet for additive synthesis: drag sliders, and you get real-time Fourier synthesis with both a waveform view and spectrogram. This is more than just a novelty: watching the harmonic content of the wave shape while you listen to the sound is a good way to learn about (or teach) this synthesis method. Databases of music: The Amateur Chamber Music Players have a list of chamber music databases in Excel format, perfect for finding new music and rare chamber pieces. Tracking your music library: A reader on the MacAddict forum has devised a method for converting an iTunes music library to HTML via Excel. Analyzer/calculator for keyboard tunings: Do tunings and temperament make your head spin? Yeah, me, too: if you’re not in 12-tone equal temperament, tuning gets complicated fast. A clever doctoral project resulted in an Excel spreadsheet that does the calculations and analysis for you. Given the range there, this seems like only the beginning for Microsoft’s humble spreadsheet software, especially since there’s a copy of Pocket Excel included with Windows Mobile PDAs and phones. More ideas, anyone?